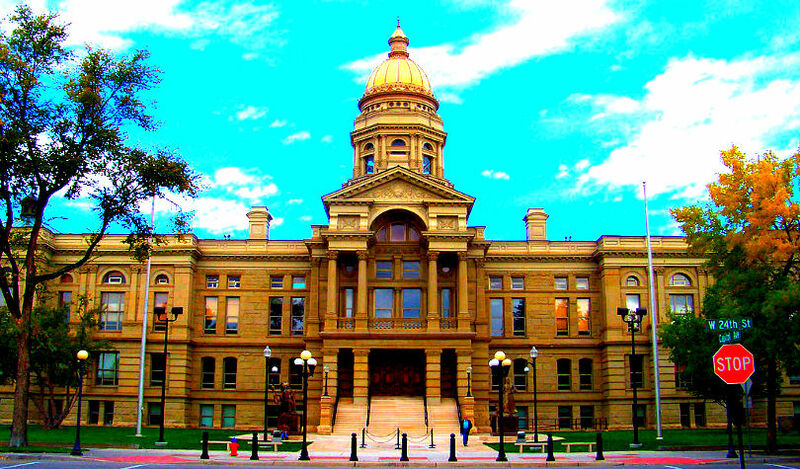 The Wyoming legislature has passed two groundbreaking blockchain bills that will now head to Governor Mark Gordon for signature. The special-purpose depository institution (SPDI) bill (HB074) and the corporate stock token bill (HB0185) are crypto-friendly bills that establish a clear regulatory framework for blockchain entrepreneurs and cryptocurrency investors. The SPDI bill solves a critical problem for blockchain entrepreneurs who are at risk of having their bank accounts unexpectedly shut down due to crypto-related activities. The corporate stock token bill allows corporations to issue tokenized stocks in lieu of paper stock certificates. Caitlin Long, co-founder of the Wyoming Blockchain Coalition, tweeted a detailed explanation of why the bills are another huge step forward for the blockchain ecosystem, as Wyoming leads the US in establishing clear guidelines to expand the use of blockchain-based tokens that can transfer data and cryptocurrencies that can transfer monetary value. “The special-purpose depository institution (SPDI) is especially important. It helps solve the blockchain sector’s problem of difficulty accessing basic US dollar-only bank accounts, which very few banks offer to start-ups. Many horror stories of start-ups shutting down because banks closed their accounts. US businesses that lose their bank accounts go out of business. For example, IRS requires withholding taxes to be paid electronically via a bank account. It’s critical to the success of the blockchain sector that more than just a few banks serve the industry for basic checking/payroll/cash management accounts. Long maps out why the new legislation would effectively eliminate the ability of the Federal Deposit Insurance Corporation (FDIC) to force banks to shut down accounts connected to banking activities it didn’t sanction, such as payday lending. What FDIC bullying was he referring to? Operation Choke Point, which caused banks to close accounts of lawful businesses in sectors the FDIC deemed “hi risk” for fear of heightened regulatory scrutiny or even losing their bank charters. Operation Choke Point officially ended in 2017 but its effects will linger for years. Just three months ago 13 US senators demanded that the FDIC end its continuing Operation Choke Point culture. Well, Wyoming isn’t waiting around for that and acted on its own to help its industries that were harmed by Operation Choke Point. Folks, please reward Wyoming’s legislators by bringing your business here. They voted strongly in favor of this bill despite serious opposition from local bankers. They’re all taking heat from bankers back home, so it was a courageous vote. It will be spring 2020 before the first SPDI can open its doors, so it won’t solve short-term problems, but I think it will serve a very important need for the industry. Yes, I ran into a prominent local attorney who said he already fielded a dozen calls from interested parties – all before it actually passed – so it’s likely to be meaningful.